Hot Rod Art by One of the Best! 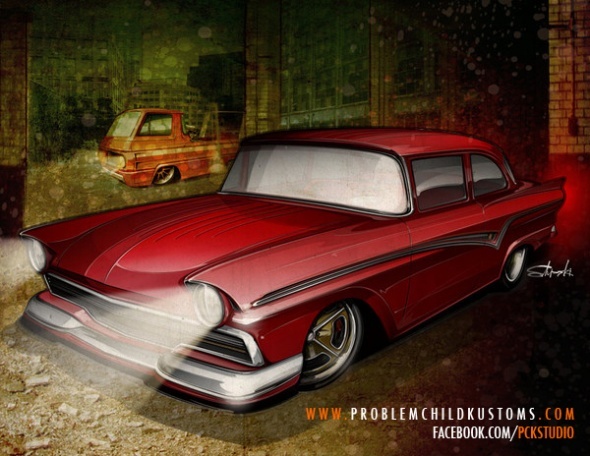 Brian from Problem Child Kustoms Studio is a good friend and and a great artist! Feel like learning about his style and even how to draw cars? Then check out his garage at MyRideisMe.com. You can add your own artwork and how-to’s just like Brian is. Then, add him to your crew so he can see some of your work. It all starts with Joining MyRideisMe.com. So Check out the NASCAR inspired Ford Thunderbird above, with the title An Alternate Flight – and see more in the May 2013 issue of Street Rodder. 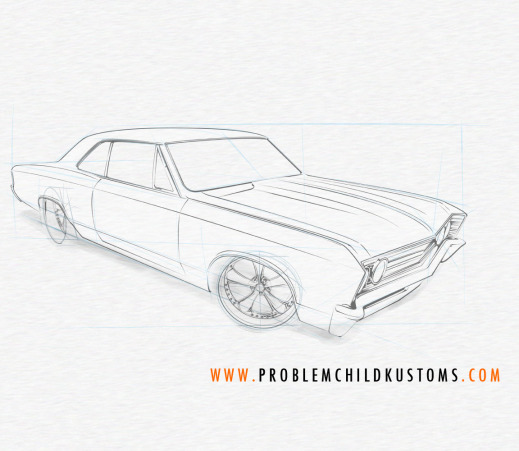 Next up is Brian’s tutorial about how to draw this Chevelle. Dude makes it look easy!! And finally, Weaving a Tale With Cars: Hot Rod Art With a Twist – How he does it and why. (Even I learned something!